View Cart "Celestite Cluster-Small 2″L x 1.75″ w x 1.75″h" was successfully added to your cart. 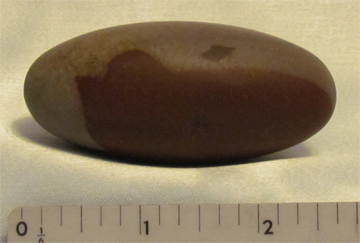 Category: Crystals and Stones. 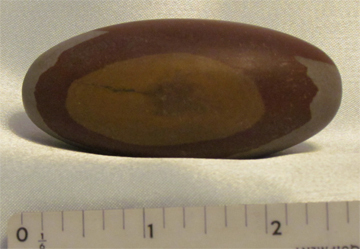 Tags: Balancing Energies, crystals and rocks for sale, Shiva Lingam stones. 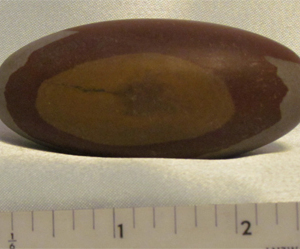 Shiva Lingam is considered a scared stone in India, tumbled by the holy rivers of time. Each one has unique markings, and I tried to capture all 4 “sides” so you can get a good view of the entirety. Smooth, hand-polished, and well-balanced light to darkness in color–or, the perfect balance of masculine/feminine energies and the stimulation of unity flow within us. I let the other websites make the claims on metaphysical properties of these stones and crystals because what I’ve personally found is that sometimes I agree with them, and sometimes I don’t. So I will simply tell you what it feels like to me: it is soft, soothing, peace-inducing, well-balanced but feels more grounding to me mainly because it is so earthy from a stone that’s been water-tumbled over centuries. As I mentioned in other descriptions, I attend the Rock Shows and when a stone or a crystals really draws my attention, I have to hold it to see if it comes home with me. This one did and has been in my collection for well over a decade. I think it is time to let someone else share in its beauty and wonderful, balanced-energy feel.